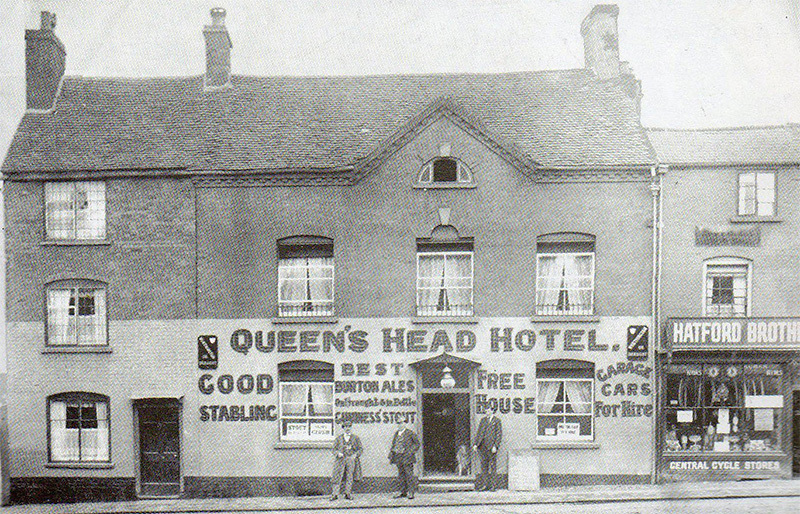 The Queens was built around 1841 and named The Queens Head after Queen Victoria. It boasted a large yard and extensive stabling to cater for the expanding suburbs. In 1888 the licensed victualler was Charles Guest, who was also a farmer and timber merchant. The 1901 licensing return showed that it could stable as many as 20 horses. One of our customers today, Mr Russell Jones, brought us a picture of his grandmother very elegantly sat side saddle on her horse. He says “ My grandmother, Lily Mary Jones and grandfather, Charles Augustus William Jones, used the Queens Head as it was known then in the early nineteen hundreds, to stable their horses at the rear of the premises, as they were customers. They did this on their weekly visits to the town cattle market which was then situated on a site which is now Tescos. They used a horse and trap, but my grandmother also rode side saddle on her horse to visit the town”. The inn itself, which had a rateable value of £30, consisted of a bar, kitchen, billiard room and four bedrooms. The owner and occupier was George Griffiths who had been there for at least five years. He also described himself as a ‘hay & straw dealer’. Later the yard was used as the base for a private bus service going to Knowbury and Clee Hill. In 1926 the landlord was Harry Johns and in 1941 it was the rather exotic sounding Chas G. Le Comte. During the Second World War the Queens Head outbuildings were used as a gas decontamination centre. When these facilities were moved to other premises in the town, the buildings were used to de-louse the evacuees that came from the cities. The evacuees were also treated for scabies, which many of them had, before being placed with local families. Today The Queens (Head being dropped in the 1990’s) is a family run Pub & Restaurant. 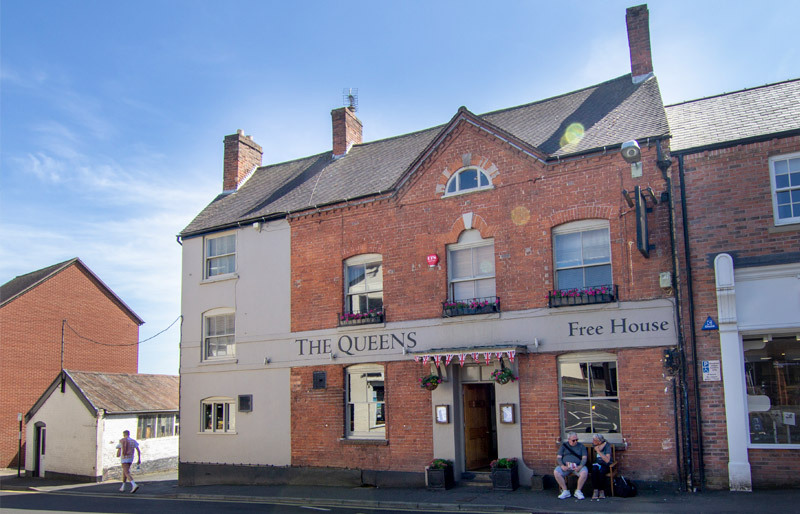 Tim & Jane have been at The Queens since December 1999 and in that time have adapted and renovated the premises extensively. 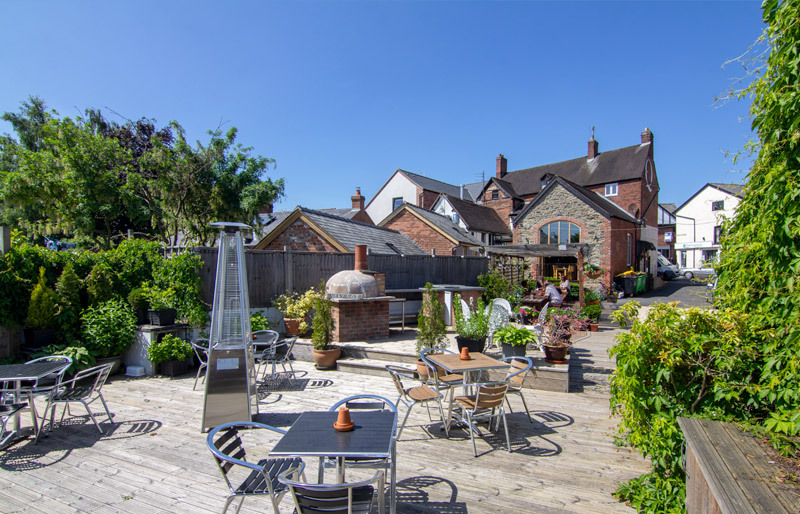 The Latest project was to turn the derelict outbuildings into bed & breakfast accommodation to compliment the already well established pub trade. The name “Lodelowe” was in use for this site before 1138 and comes from the old English “hlud-hlaw”. At the time this section of the river Teme contained rapids, and so the hlud of Ludlow came from “the loud waters”, while hlaw meant “hill”. Thus the name Ludlow describes a place on a hill by the loud waters. Sometime around the 12th century weirs were added along the river, taming these rapid flows. The hill which the town stands on, was a pre-historic burial mound (or barrow) which existed at the summit of the hill (dug up during the expansion of St Lawrence’s church in 1199) could explain the tumulus variation of the hlaw element. Ludford, a neighbouring and older settlement, situated on the southern bank of the Teme, share the hlud (“loud waters”) element.